δείτε όλες τις προσφορές εδώ στο..
Τα Καλύτερα Πολυτελή και Φθηνά Ξενοδοχεία στην Ρόδο με Προσφορές ανα περιοχή. 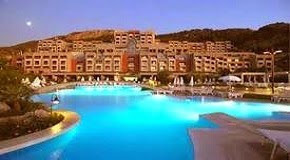 Rhodes cheap hotels and accommodation in the island of Rodos in Greece presented by area. Δείτε τις εξαιρετικές ευκαιρίες και προσφορές τελευταίας στιγμής των ξενοδοχείων και τις τιμές δωματίων. Μπορείτε εύκολα να κάνετε τις online κρατήσεις δωματίων σας σήμερα, βρίσκοντας και συγκρίνοντας βάσει κατηγορίας αστέρων 5,4,3,2,1, ανέσεων, παροχής υπηρεσιών, διαβάστε λεπτομέρειες, κριτικές και δείτε φωτογραφίες googlαροντας το όνομα απο την παρακάτω λίστα. Αναζητήστε τα καλύτερα ξενοδοχεία της Ρόδου παρακάτω... Ξεκινήστε τις διακοπές σας απο σήμερα! 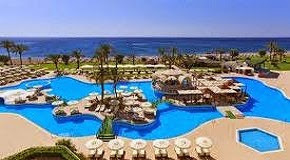 ΠΟΛΗ ΡΟΔΟΣ ΚΕΝΤΡΟ - RHODES TOWN CENTER : Athineon Hotel Apartments Blue Sky City Beach Hotel Eva Aparthotel Mediterranean Hotel Nikos Takis Fashion Hotel Plaza Hotel Best Western Spirit Of The Knights Boutique Hotel Agla Hotel Alexia Hotel Athena Hotel Castello Di Rodi Hotel Cava D' Oro Hotel Lydia Hotel Angela Suites & Lobby Princess Flora Hotel Als Hotel Cactus Hotel Kipriotis Hotel Africa Hotel Petit Palais Hotel S. Nikolis' Hotel Apartments & Honeymoon Suites Belvedere Beach Hotel Casino Rodos - Grande Albergo delle Rose Grand Hotel Rhodes Rodos Park Suites & Spa Hotel Aquarium View Hotel Avalon Boutique Hotel Blue Horizon Palm Beach Hotel City Center Hotel Constantin Hotel Esperia Hotel Europa Hotel Golden Sunrise Hotel Hotel Helena Hotel Lomeniz Blue Reni Kinou Hotel Manousos Hotel Riviera Ibiscus Hotel Marie Hotel Hotel Vassilia Rhodos Beach Hotel Semiramis Hotel Sirene Beach Siravast Hotel. ΦΑΛΗΡΑΚΙ - FALIRAKI : Blue Sea Beach Resort Cathrin Hotel Louis Colossos Beach Hotel Luca Cypria Faliraki Hotel Esperos Village Hotel Esperides Beach Hotel Esperos Palace Hotel Rodos Palladium Hotel Apollo Beach Resort Hotel Calypso Beach Hotel Calypso Palace Hotel Faliraki Beach Hotel Grecotel Rhodos Royal Sun Palace Hotel Rhodes Ladiko Bungalows Hotel Olympos Beach Hotel Apollo Blue Palace Cathrin Hotel Grecotel Rhodos Royal Hotel Diagoras Hotel Matina Pegasos Beach Hotel Venezia Resort. ΛΙΝΔΟΣ - LINDOS : Lindos Blu Hotel Lindos Bay Hotel Lindos Mare Hotel Melenos Lindos Hotel Lindos Star Hotel Lindianmyth Studios Lindos Beach Villa Lindian Village Hotel Lindos Memories Resort Beach Hotel Paraktio Beach Apartments Iberostar Lindos Royal Lindos Athena Hotel Lindos Princess Beach Hotel Lindos Sun Hotel Sunrise Hotel Veraclub Lindos Sunshine Hotel. ΘΕΟΛΟΓΟΣ - THEOLOGOS : Doreta Beach Resort Georgia Hotel Nirvana Beach Hotel Alex Beach Hotel Filoxenia Hotel Sabina Hotel Sea View Summer Dream Hotel. ΚΡΕΜΑΣΤΗ - KREMASTI : Esmeralda Hotel Kremasti Memories Hotel Bayside Hotel Pylea Beach Hotel. ΙΞΙΑ - IXIA : Avra Beach Resort Hotel - Bungalows Cosmopolitan Hotel Dionysos Hotel Capsis Hotel Rhodes & Convention Center Imperial Rhodes Resort (ex Hilton Rhodes) Miramare Wonderland Suites & Bungalows Olympic Palace Hotel Rodian Amathus Beach Resort Rodos Palace Resort Hotel & Convention Center The Ixian Grand Belair Beach Hotel Caravel Hotel Hotel Golden Beach Hotel Solemar Oceanis Hotel. 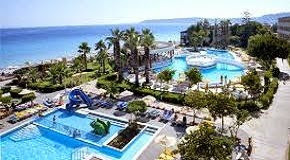 ΙΑΛΥΣΣΟΣ - IALYSSOS : Blue Horizon Beach Resort Hotel Sun Beach Resort Complex Summerland Hotel Bungalows Electra Palace Atlantica Princess Hotel Sunshine Vacation Club Rhodes Alis Residence Blue Bay Hotel Forum Beach Hotel Forum Hotel Ialyssos Bay Latino Bay. 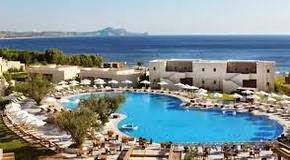 ΠΕΥΚΟΥΣ - PEFKI : Cosmos Maris Columbus club Lardos bay Costa Lindia Beach Resort Delfinia Resort Hotel Esmeralda Hotel Hotel Kamari Beach Hotel Pefkos Garden Island Blue Hotel Lindia Thalassa Resort LTI Miraluna Village Magic Life Kiotari Imperial Olive Garden Hotel Pefki Islands Resort Pefkos Beach Hotel Pefkos Village Resort Princess Flora Hotel. ΓΕΝΝΑΔΙ - GENNADI : Ampelia Beach Hotel Panorama Genadi. ΚΑΛΑΘΟΣ - KALATHOS : Atrium Palace Thalasso Spa Resort & Villas It's a fact that sure hotels provide a much less expensive charge when you stay on the Island for a weekend Hotels & Lodgings in Kiotari, Rhodes island, Greece: Rodos Maris Hotel & Bungalows Rodos Village Hotel Al Mare Villas Iberostar Lindos Imperial Kabanari Bay Beach Rodos Princess. 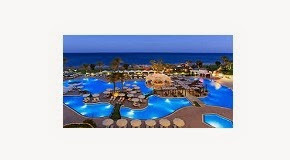 ΚΟΛΥΜΠΙΑ - KOLYMBIA : Golden Odyssey Hotel Lutania Beach Hotel Atlantica Imperial Resort Atlantica Aegean Blue Irene Palace Hotel Alfa Beach Club Hotel Kolymbia Star Lydia Maris Myrina Beach Hotel Niriides Beach Hotel. ΑΦΑΝΤΟΥ - AFANDOU : Golden Days Hotel Sensimar Port Royal Villas & Spa Hotel Afandou Bay Resort Suites Golf View Hotel Iris Hotel Oasis Hotel Bungalows Rhodes Reni Sky Hotel Rodos Star Hotel. ΚΑΛΙΘΕΑ - KALITHEA : Aldemar Paradise Royal Mare Hotel Rodos Palladium Kresten Palace Hotel Castello Di Rodi Elysium Resort & Spa Columbus Paradise Beach Village Eden Roc Resort Hotel & Bungalows Kalithea Sun and Sky Hotel Kalithea Horizon Royal Kalithea Mare Palace Sunwing Resort.